The First World War saw almost 100,000 German Jews wear the uniform of the Imperial army; some 12,000 of these soldiers lost their lives in battle. Over the last century, public memory of their sacrifice has been very gradually subsumed into the much greater catastrophe of the Holocaust. This book focuses on the multifaceted ways in which these Jewish soldiers have variously been remembered and forgotten from 1914 through until the late 1970s. During and immediately after the conflict, Germany’s Jewish population were active participants in a memory culture that honoured the war dead as national heroes. With the decline of the Weimar Republic and the National Socialists’ rise to power, however, the public commemoration of the Jewish soldiers gradually faded, as Germany’s Jewish communities were systematically destroyed by the Nazi regime. It was only in the late 1950s that both Jews and other Germans began to rediscover and to re-remember this largely neglected group. By examining Germany’s complex and continually evolving memory culture, this book opens up a new approach to the study of both German and German-Jewish history. In doing so, it draws out a narrative of entangled and overlapping relations between Jews and non-Jews during the short twentieth century. The Jewish / non-Jewish relationship, the book argues, did not end on the battlefields of the First World War, but ran much deeper to extend through into the era of the Cold War. It is worth me stressing the breadth of the book. Temporal scope – It covers four distinct eras of modern Germany: late Imperial Germany and the First World War, the Weimar Republic, Nazi Germany and finally divided Germany after 1945. Geographical scope – The book is mainly centred on Germany, but also examines remembrance activity in the German-Jewish refugee communities in Britain, the USA and Israel. Subject matter – Although the book focuses on Germany’s Jewish population, it examines this group within wider German society. Unlike many studies of German Jewry which view German Jews as a distinct section of German history, this book views German Jews as Germans. 1. This is the first academic study in either German or English to explore the history and memory of the Jewish soldiers who fought for Germany in the First World War. 2. The book offers a new approach to the history of Jewish / non-Jewish relations, focusing on points of contact and interaction, rather than just moments of rupture. 3. The book is not just a study of liberal Jewry, which is often the main focus of German-Jewish historical writing, but is also an exploration of more conservative, even right-wing, sections of Germany’s Jewish population. 4. This study is one of very few to move beyond the caesuras of 1933 or 1945 to explore German-Jewish and German history across the short twentieth century as a whole. 5. The book combines previously untapped archival material from Israel, Germany, Britain and the USA. Tim Grady is Senior Lecturer in European History at the University of Chester and Honorary Fellow at the Parkes Institute for Jewish / non-Jewish Relations, University of Southampton. A fine addition to our understanding of German Jewish history in the period of the First World War and in its aftermath, full of clearly written and interesting detail and impressive research. Grady’s book presents many illuminating examples and carefully chosen quotations. The six chapters are clearly structured and draw upon a broad base of original source material, including newspapers, personal memoirs, and official documents from communal archives. 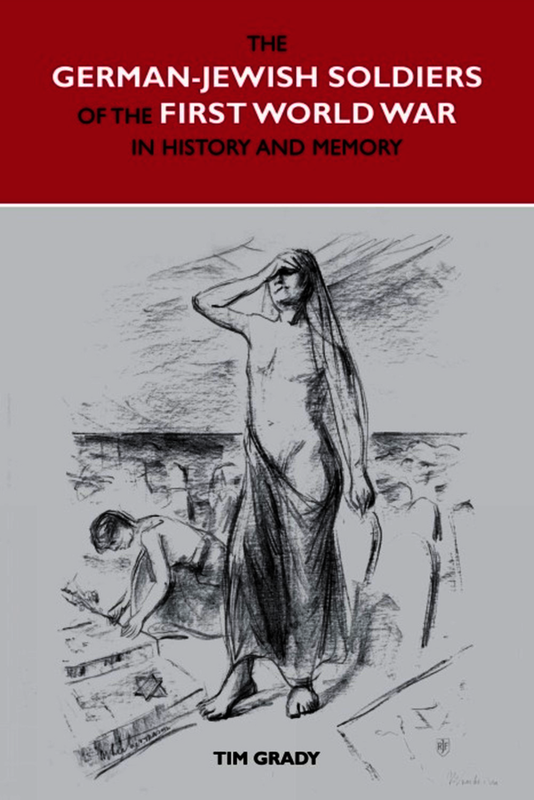 In his study, Grady has provided a commendable contribution to the history of the Jewish war veterans in Germany, in particular during the interwar years. He illustrates the opinions of both non-Jewish Germans towards their Jewish fellow-citizens as well as Jewish interpretations of their own position in contemporary German history. Tim Grady has written a compelling book, exceptional both in its interpretations and the importance of its subject matter. His research is a major contribution to our knowledge of both German attitudes towards Jews between World War One and the early years of the Federal Republic, and of Jewish perceptions of their place in German society. This is a thought-provoking book. Many readers will remember their fathers’ participation in the First World War and the medals they earned and wore with pride. Alas, although they had hoped that these medals would protect them once the Nazis came to power, this was not to be. I should add that this book is written entirely with West Germany in mind. In East Germany (the DDR), where culpability for the Nazi crimes was never acknowledged, it would have been a very different story. An interesting subject, well treated. Summing Up: Highly recommended. General collections, graduate students, and faculty.